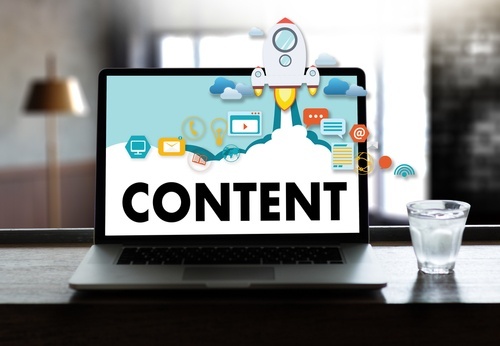 What Are New Content Marketing Ideas That You Should Know? No one would blame you if you said you were burnt out on the topic of content marketing. From “snackable content” to “influencer marketing” (and don’t even get started on ToFu, MoFu, and BoFu), it can often seem like content marketing is nothing more than an exercise in inventing new buzzwords. So, What New Content Marketing Ideas Are Out There? It’s human nature to stick with what you know. That might explain why there’s so much rehashing of the same content marketing ideas. But there is a new era of content marketing taking shape and one of the most important players is artificial intelligence. Until recently, people liked to joke about AI standing for “almost implemented.” But over the past year, everyone's becoming more psychologically conditioned to rely on technology for communication and decision making. You don’t have to look far to find evidence of how AI is changing the way people get their information. Popular voice assistants like Alexa, Cortana, Siri, and Google Assistant have all led to an incredible acceptance of predictive technology. And as consumers become ever more reliant on technology, their brains are slowly rewiring to process information in a new way. Today, machine learning algorithms are helping marketers make sense of mountains of data which, in turn, let’s them deliver a better customer experience. Artificial intelligence can have the aura of science fiction, but it isn't really all that complicated. AI simply refers to machines that have a capability similar to human cognitive functions, most notably learning and problem solving. This is extremely valuable to content marketing, as it streamlines processes that might otherwise overwhelm already besieged marketers. Here are five important ways that advancements in artificial intelligence will continue to change content marketing ideas moving forward. Chatbots that use AI to mimic conversation with live reps will grow in popularity. While they’re particularly useful in the customer support process, they can also be used for other tasks, such as sending out promotional content. Social media networks are using AI to customize users’ news feeds, analyzing an individual’s online habits to predict with reasonable accuracy what information that person would like to receive. Marketers can then create even more highly-personalized content to increase a user’s engagement. Predictive intelligence is giving marketers valuable insights into which pieces of content should be targeted to specific customers. Tracking and analyzing a user’s response then helps them create future content that has a better ROI. The whole point of creating content is to move a lead from looky-loo to buyer. AI is helping marketers collect data and create relevant content at each stage of a buyer’s journey. This ultimately boosts engagement and leads to higher conversion rates. AI isn’t all calculations and data analysis. Machines have also been generating content for years, especially in the fields of financial earnings and sports recaps. Gartner predicted several years ago that by this year, “20% of all business content would be authored by machines” and that figure seems accurate today. Right now, it’s difficult to imagine a machine generating great content ideas, and to date computers can’t read the content they write with a critical eye and don’t understand vital nuances of language. But it's unclear where it's all headed. Though it may never fully replace human writers, AI could soon generate the majority of content people see. And in the not too distant future, it’s possible everyone will laugh about the idea that “content marketing” was seen as a strategic term. Wherever the AI road leads, something that can probably be counted on is content marketing continuing to exist is some form or another. There will always be new content marketing ideas & innovations to embrace and hurdles to overcome, but consumers will, for the foreseeable future, still prefer and prioritize brands that give them the information they’re looking for – no matter how it’s generated. Need some help with writing your blog posts and not sure whether to use freelancers or in-house writers? Check out our white paper, "Content Writing Outsourcing vs. In-House Writers."